The Centre for Research & Technology Hellas is the project coordinator responsible for the administrative, financial and technical management of the project. Its main responsibilities include, translating into meaningful control the EEG-signals captured from the brain of people with disabilities. Moreover, CERTH-ITI is also responsible for the dissemination and exploitation activities of the project with an overarching goal to foster innovation among its members. University of Koblenz – Landau, WeST Institute is leading the WP3 and contributes primarily its eye tracking expertise and competence in human-computer interaction. EB Neuro S.p.A (EBN) is leading WP2 –“Sensor configuration and signal capturing” with the aim to ensure that the signals delivered to WP3 for translation into meaningful control are properly calibrated and free of any biological or environmental noise. EBN will safeguard that the signal captured in WP2 will be appropriate for the navigation control of a software application. 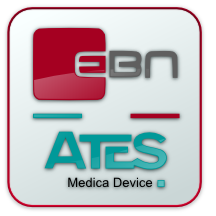 Finally, EBN will significantly contribute in fostering the innovation potential of the technologies developed in MAMEM based on its marketing department. As a developer and supplier of eye tracking hardware and software solutions, SensoMotoric Instruments GmbH (SMI) will lead WP4 on combining MAMEM’s sensors and algorithms under a unified re-usable framework. SMI will also actively contribute in optimizing the eye-tracking equipment to the particularities of the cases addressed in MAMEM, as well as on improving the accuracy of gaze-based interaction combined with bio-input. Eindhoven University of Technology (TUe) will lead WP5 and based on its large expertise on user modelling and persuasive technology (together with specialists on the specific user group) will describe user models, & persuasive design principles most effectively. This will include coordinating research activities, partly by participants in this WP (Ukob, AUTH) on the effectiveness of prototypes employing these principles, and supervising the actual field tests and lab experiments. 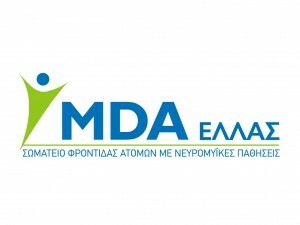 In MAMEM, Muscular Dystrophy Association (MDA) Hellas will be responsible for the coordination of the pilot studies related to people with neuromuscular disease. The heaviest incidents will be selected to participate in the pilot studies following the protocol defined in WP6. Moreover, MDA Hellas will also lead the work package related to monitoring any changes in the level of the patient’s social inclusion as a result of using MAMEM’s technology.